The "Haut-Jabron" canyon is very close to Castellane. It is one of the most beautiful and most accessible canyons in the Natural Park of the Verdon Gorges. The Gorges have been carved by the water for millennia that have dug beautiful pools and natural slides! Accessible from the age of 6 if your child is resourceful and adventurous. Slides, small jumps, abseiling follow one another. There are almost no approach and return marches! It is located 5 minutes from the center of Castellane !! 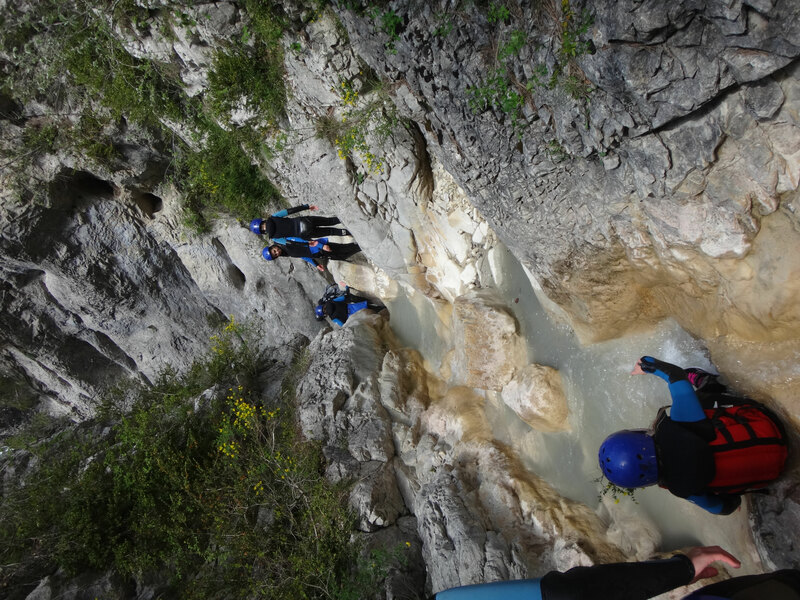 All these reasons make it a little jewel of canyoning to discover in families! - Family "Ravin de Rayaup"
- Half day "Saint Auban"